Are HP laptops good for music production? When one is buying a new laptop for music production, there are some specifications to consider beyond the normal needs of a basic computer user. Your decision in purchasing a computer will depend on factors such as what type of music you wish to produce, the quality of your creation and also the need for storage as new technology has enabled all this. Price is also essential since you are able to buy the right laptop for less money. What type of music will you produce? ; Modern music, a track is recorded from a musical instrument or microphone for edition later while traditional musicians have to find a medium to transfer sounds from the instrument to the computer, a more basic computer works. 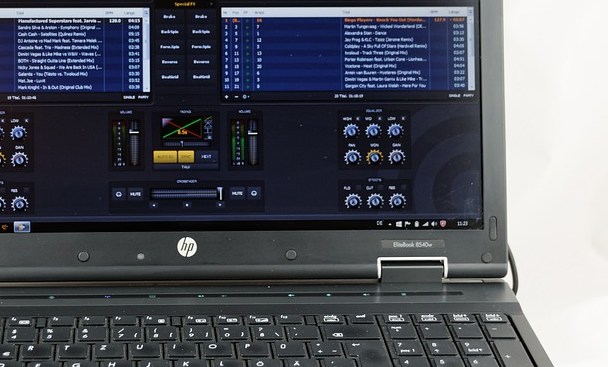 Dj’s, mixing of trucks require a high performing laptops with special features to achieve quality sound, microphone connection and even more ports for connection. Screen size; (DAW) digital audial work station is a must for music producers and screen size is an important factor in consideration and does affect the quality of production. There several sizes such as 10-13 inches which is most common, 14-15 inches, 17-18 inches, which determine display. Therefore, the larger the screen sizes of the laptop, the larger the display on the screen. Processor; The CPU is essential as music production require allot of power and can run multiple applications without crushing like for the DJ’s. A laptop with a clock speed of 2.4 to 4.2GHz will work. (RAM) Random access memory RAM is a key factor as you may need to run several applications at once hence a laptop with more RAM runs better. 8GB of RAM is recommended, 16GB RAM laptop is better. Storage; There are two types of storage devices namely hard-disk drive (HDD) and solid state drive (SDD). High quality audio files covers up a lager storage hence storage is key. A SDD is preferred as they have a larger storage capacity; interpret information faster than a HDD although they are more expensive. An external HDD can also be a solution to this problem. Ports; Ports allow connection to microphones instruments and other technology to your laptop. A USB hub is considered as modest laptops have one or two USB ports which are insufficient since you may need additional pads or instruments to use. Are HP laptops good for music production? Yes, this is evident as there are several HP laptops which meet the specification and compatibility to music production. Need a suggestion? Take a look at this HP laptop guide.